EVEN IF YOU ARE THROWING A NOON WEDDING THERE ARE WAYS TO MAKE YOUR EVENT A SUCCESS. 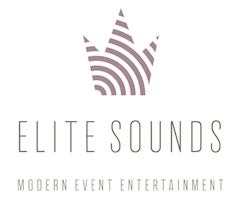 PARTNER WITH ELITE SOUNDS AND LET US HELP YOU TAKE YOUR WEDDING TO THE NEXT LEVEL. If this sounds like the type of company you want on your side, fill out the form below to book a free consultation.